Fishing Pier BW - This is a fishing pier along the Texas coast taken as the sun was coming up in an almost black and white version. 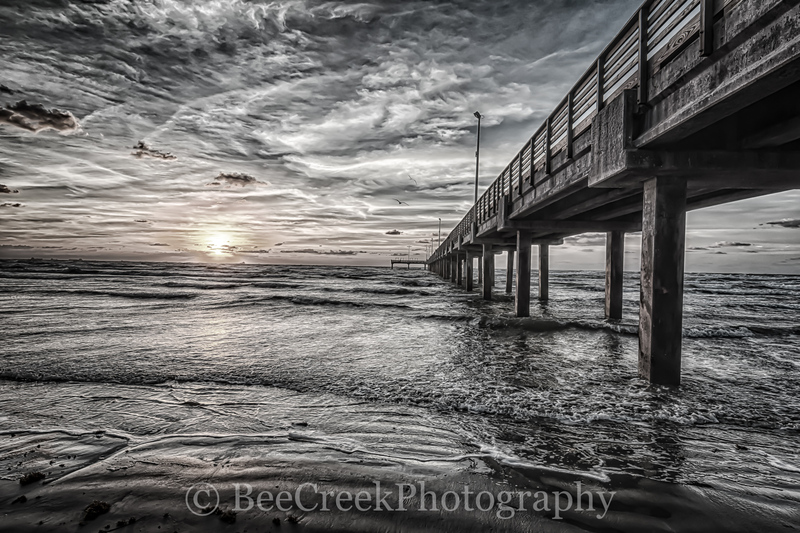 This coastal seascape with all the element of sand, surf, beach, clouds, sunrise, wooden pier, fishing, gulf, ocean, wave and all other element of the coast done in black and white. Photo © copyright by Bee Creek Photography - Tod Grubbs / Cynthia Hestand.